Reusing and repurposing the content that you have already invested in, own, and manage, is one of the most powerful ways to boost content efficiency. Financially, you get a lot more for your investment in acquiring and developing content assets. And from a time and effort perspective, why reinvent the wheel when there's really no need to? Instead, reusing content can get you to draft much quicker, and with far less hassle. You can now pick and choose slides from different presentations, no matter where they're stored, add them to your Cart, and then proceed to the checkout to assemble them into a brand new presentation. Next, add them to your cart. You can pick and choose individual slides out of a presentation, or you can add all the slides in a presentation in one click. When you're ready, proceed to your cart, where you can view the slides you've added, re-arrange them into your preferred order, remove the ones you don't need - and then checkout your cart. Got smart fields and rules on your slides? Awesome, now you'll get to draft even quicker. Fill in the smart field form to have your new slide deck instantly personalized with the right message for your audience. We've added a new insert option so you can now reuse slides from a PowerPoint presentation, as well as pages from a PDF or Word document, and insert them as images into new emails, documents or presentations. Click on the file name to expand the search result. If there are no thumbnail images displayed, use the 'click to see thumbnails' button to load them. The new Gallery Preview allows you to get a birds eye view of all the pages of a document, or all the slides of a presentation. We've added a new 'Start Over' button, that you can now use to instantly clear your last browse session, search terms and filters, allowing you to, well, start over. The placement of the search and filter buttons has changed, with the filter button now coming up first before the search button. 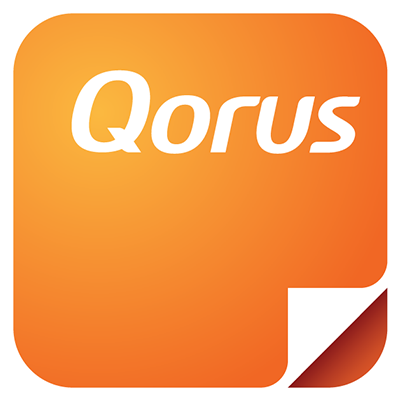 The biggest change is probably around the way you would go about selecting the content sources you'd like to search with Qorus. To search one content source at a time: Click on the circular content source checkbox to select it, just as you would before. If you change your mind or want to perform another search on a different content source (and only that one), then you can now do that in one click. Clicking on a different content source checkbox now clears your previously selected content source, and switches your content source selection to the last one you've checked. To search multiple content sources at a time: Hold down the CTRL key (or CMD key on Mac) as you click on the checkboxes of the content sources you'd like to select.